The GDPR is now firmly in place. Even countries who don’t fall under the main guidelines are opting to look toward the creation of similar guidelines. Within the next decade, how we deal with customer data – including UGC – is likely to change dramatically. Businesses who aren’t already thinking about ways to protect their customer’s data should start now if they want to stay caught up. But how do all of these new privacy regulations apply to UGC, exactly? While many believe that content generated by users is exempt, this simply isn’t true. Posts, comments, shared images, blogs, and anything else users share in an interaction with or near you also qualifies. 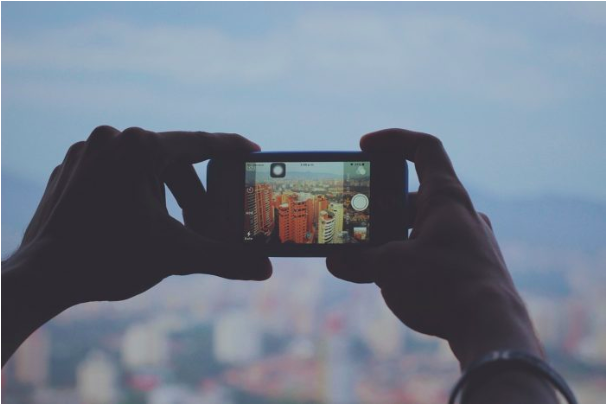 User-generated content is any content shared with your business by an individual or business. It includes account info, emails, recorded telephone calls, most social media posts, reviews, and ratings, too. Sensitive UGC is any form of content visible to the public and/or that contains certain types of information that could lead to harm to the poster. Examples include personal contact information, home addresses, credit card numbers, banking info, or highly personal information someone wouldn’t otherwise voluntarily share. It also includes posts that contain information which could potentially harm your business (no, we don’t mean reviews unless they’re libelous). This includes posts or content containing discrimination, details of an illegal crime, or some form of fraud (such as fake lottery scams). Why Does Sensitive UGC Get Posted? In some cases, the poster may be trying to scam people by reaching your audience because your follower list is significant. Or, they may try to use your audience as a platform for their beliefs (common on forums). In most cases, it’s simply a case of ignorance; an older individual thinks that, by posting to your Facebook wall, they’re contacting you privately. No harm is meant, but if they share their financial information and ask to place an order, you become responsible for whoever else sees it which could lead to legal issues. First things first: follow platform guidelines always. If someone posts UGC to your Facebook wall or Twitter feed that breaks the rules, delete it right away. You can offer a warning, but ultimately, what they post could eventually get you banned if you allow or encourage it. This is especially true of posts with discrimination or threats in them. For content less obvious – such as someone’s Great Aunt Barbara posting her credit card number to your wall to make a purchase – a bit of common sense goes a long way. Delete or hide the content, and then reach out to the poster. What about reviews? You always have the option to respond and ask the customer to contact you directly. If the comment includes illegal content (discrimination, threats, etc.) report it to the platform you’re marketing on. If they persist, it may be time to hire a reputation management company to give you a hand. Last but not least, be cautious about how long you retain UGC. Give customers the option to delete it at all times, and purge it from your systems every few months. If nothing else, tell them how to handle their data and interact with you right within your Terms of Service and on your website. Need help figuring out how to manage your customer data – or maybe how to encourage more UGC? Reach out to Go Digital WSI today.